I'm not going to beat around the bush on this one. Our generation today has many things that are ruining true communication among people. I'm sure everyone has heard someone say something along the lines of "Well that's not how I read it.." or "People never understand through text.." Believe it or not there was a time when the world didn't have unlimited texting and a billion different social media pages you could sign into to do your daily communicating. And, believe it or not.. They made it. Yeah. They did this cool thing where they would punch in a series of numbers on a phone, wait for someone to pick up, and then actually talk with their voice. Crazy right? That's what this day is all about. Communication. Communication is what a relationship with somebody thrives on, whether that's with your best friend, a sibling, a parent, and new friend, or even God. While texting or social media is a form of communication, they don't come close to the connection you make by using your voice or talking in person. That's the reason we have a voice is so that we can connect with one another. "Communication leads to community, that is, to understanding, intimacy and mutual valuing." You may not have actually made a phone call in a while to just talk to somebody and see how they are doing, but it is so worth it. My personal experience with this runs deep. My best friend, Christian, is in the U.S. Army and is based in Alaska. We used to hang out all the time in high school and were always talking but then, just like that, there were over 3,000 miles between us and over a year and a half since I've seen the goofball. One thing is for sure though; we are still best friends. One thing I know that helps maintain that friendship is the fact that we actually talk on the phone. Yeah, its just every once in a while. But every time we talk we pick up right where we left off. God gave us the ability to talk to one another and share feelings and emotions in a way that letters on a screen just don't do. So, I encourage you today, pick up the phone and just call someone. Ask how they are doing and see where it goes from there. 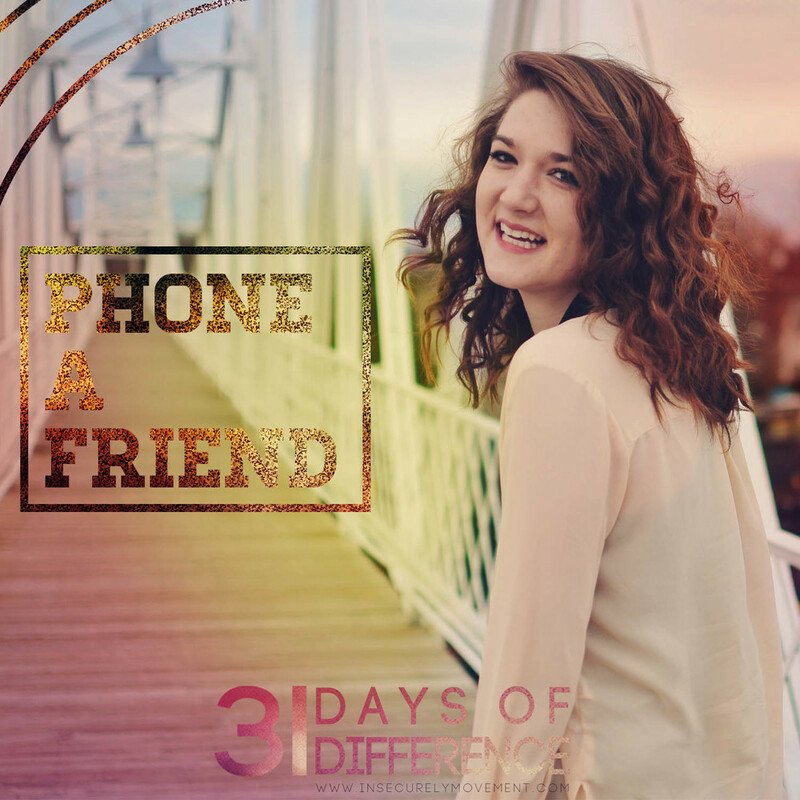 I promise, you will see the difference and be happy that you decided to phone a friend.